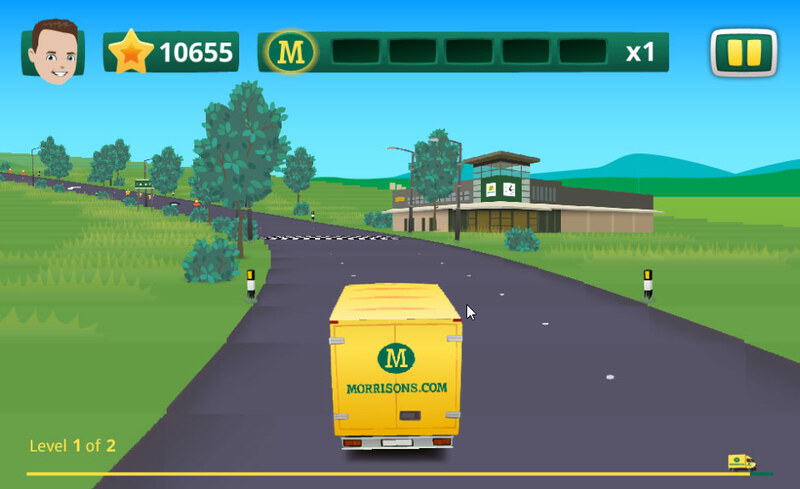 Morrisons Market Street is a promotional cross platform game developed by Playerthree for ITV / Savvy to promote Morrisons Market Street and their new online delivery service. 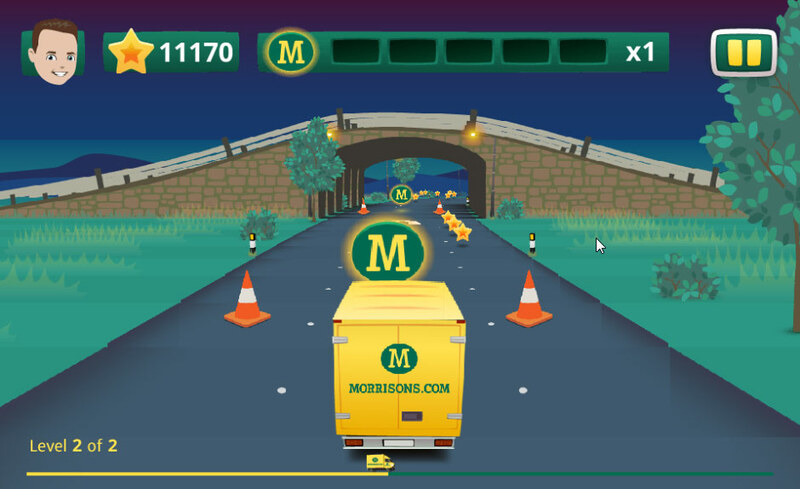 The game was part of Morrison’s sponsorship activity for Ant & Dec’s Saturday Night Takeaway. 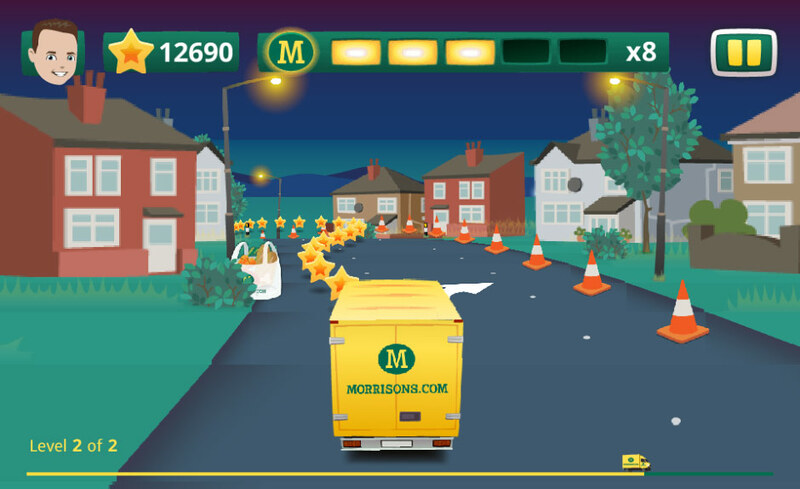 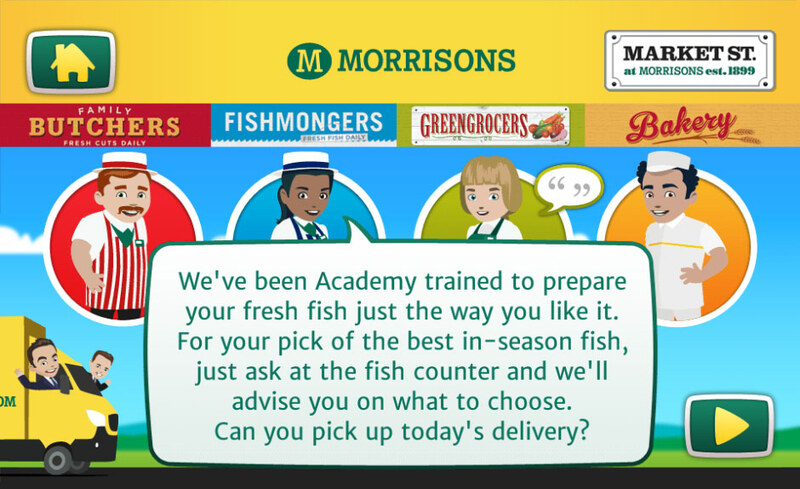 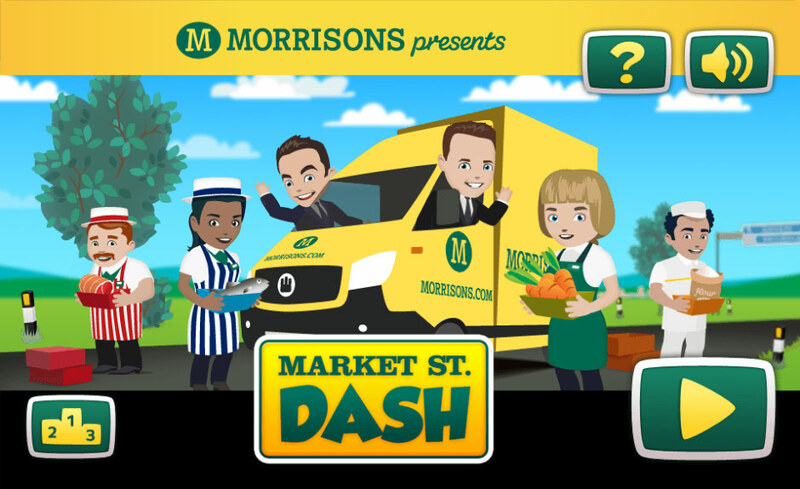 To convey Morrisons’ marketing message of ‘Farm to Fork’, the user could take control of a Morrisons delivery van and help Ant or Dec in their challenge. 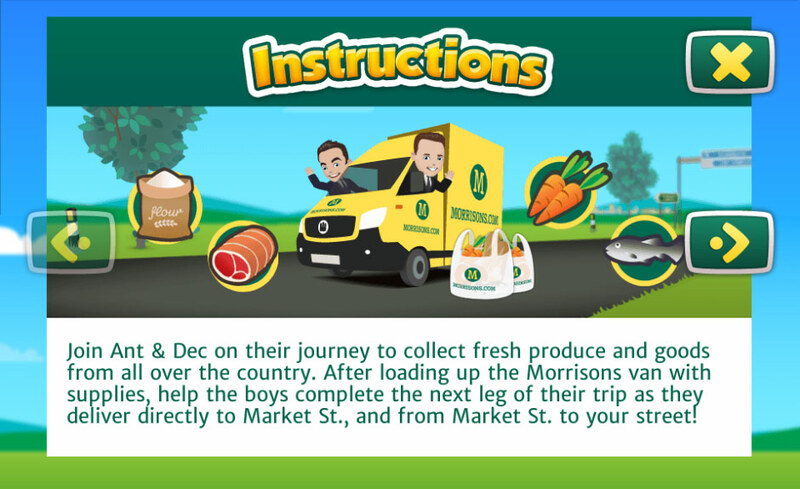 Your goal was to zip along country roads collecting stars and featured produce before delivering it to a Morrisons store. 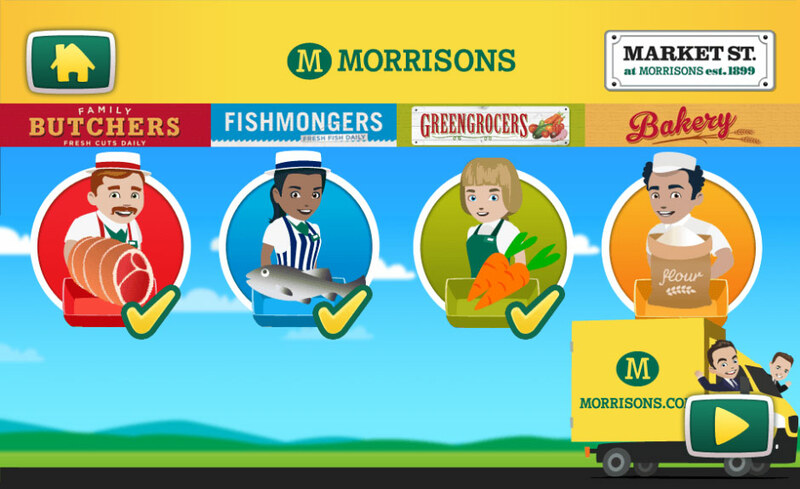 The second stage was then to deliver featured produce to homes before arriving at the finish line. 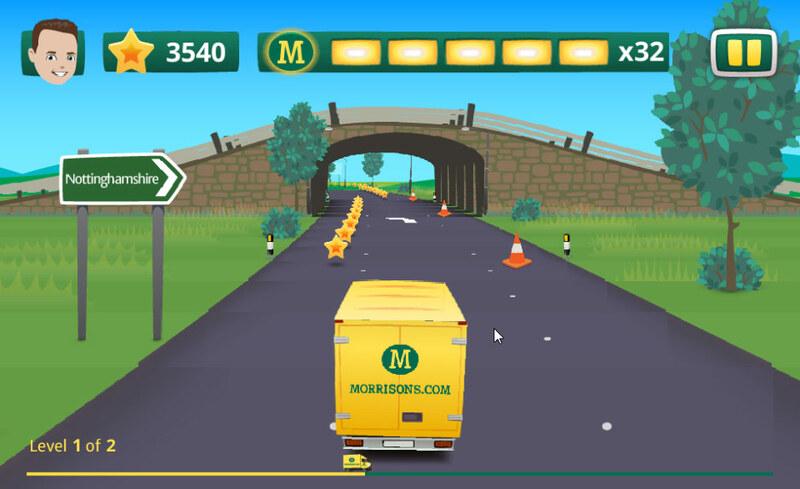 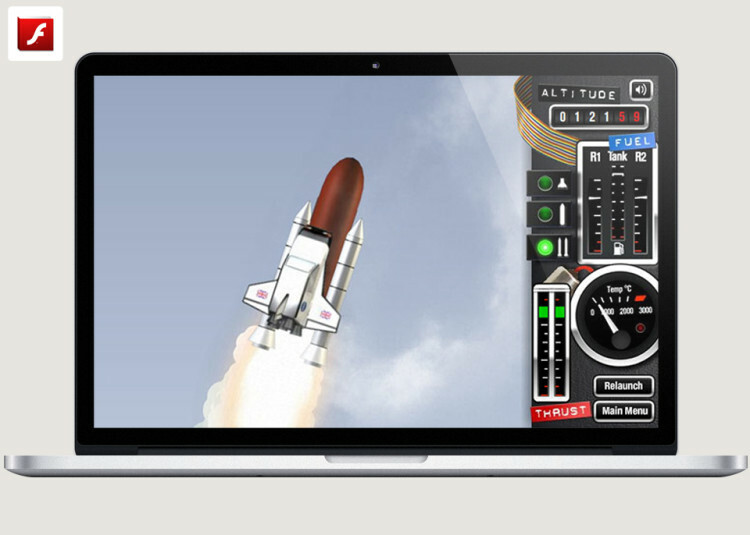 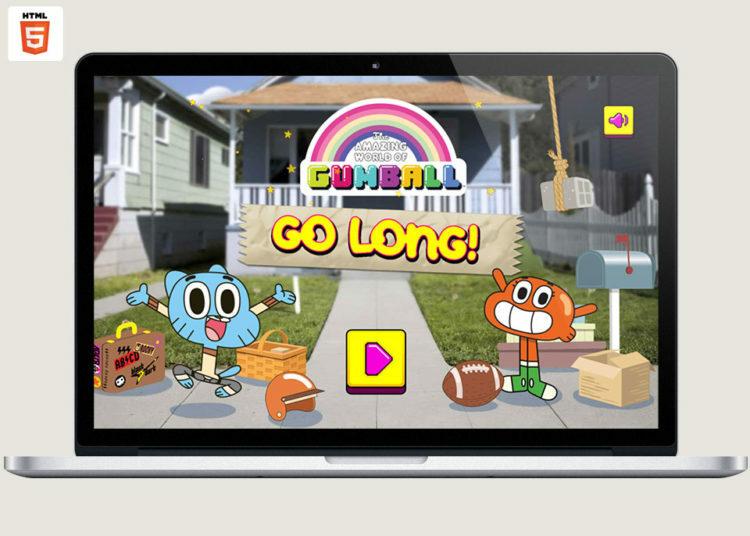 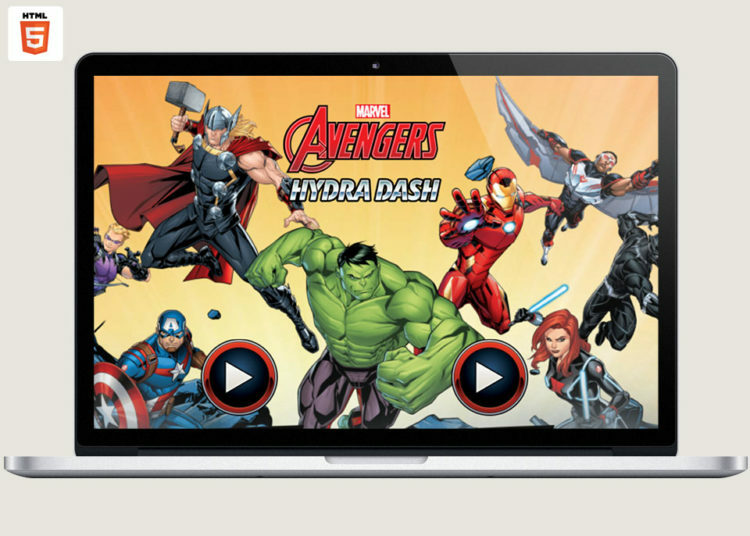 The game was developed using our pseudo 3D racing engine using 2D graphics and artwork created by Playerthree and designed for a short, repeat-play style for mobile and web browser.